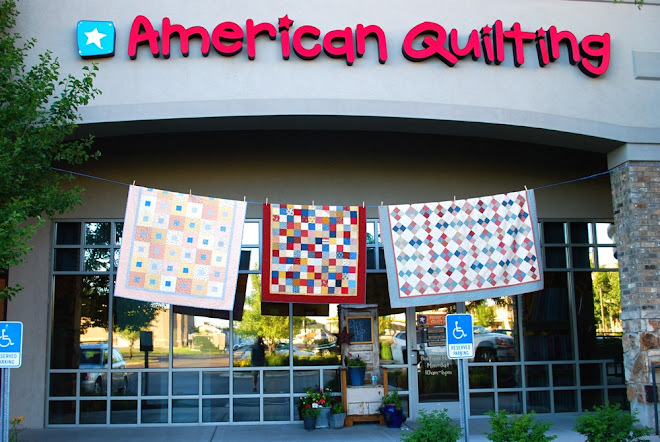 AmericanQuilting: Coming Friday: Moonlight Madness! Come for a fun night full of demo's, designers, new products, new fabric, prizes, great sales, refreshments and a lot of fun! Along with most of the merchandise in the store marked down, we will also be marking down our sample quilts for sale, so if you've had your eye on one (or two, or three), now's your chance. We had so much fun last year, we can hardly wait to do it again. 8th North in Orem. Behind the Sonic restaurant. Oh I won't be there but it will be lots of fun. I remember last year's. Sounds like a fun way to spend my Friday nite. I live so close... I could walk over! Amy, I loved Friday evening and I love your blog.